I grew up in Manhattan, NY on the west side of 129th on a dead end street. I guess that would be classified as the ghetto. 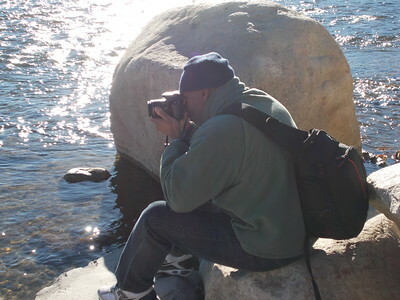 I entered the Air Force in '77, got interested in photography in '86, after discharging from the military. Although film was great, I love this DSLR world because of the seemingly limitless amount of retakes and test shots one can perform. My preferred style of photography is photojournalism. I love these candid shots because they capture the authenticity and the real life...in the moment. Digging up old family pictures, retouching them and putting them back into circulation is most rewarding and brings back so many great memories! I look forwward to helping you create now what will become your memoirs.